Over the next three years, Orchard Therapeutics plans to file for U.S. and European regulatory approvals for three of its gene therapies and begin manufacturing its own products at the Fremont, CA, site it recently agreed to lease, president and CEO Mark Rothera told GEN.
Orchard’s first regulatory filings are planned for 2020 for two candidates, Rothera said: OTL-200 for metachromatic leukodystrophy (MLD) and OTL-101 for adenosine deaminase severe combined immune deficiency (ADA-SCID). In 2021, Orchard plans a BLA for OTL-103, a gene therapy for Wiskott-Aldrich syndrome (WAS). OTL-101 is an autologous ex vivo lentiviral gene therapy that would be Orchard’s second treatment indicated for ADA-SCID. The first is Strimvelis™ (autologous CD34+ cells transduced to express adenosine deaminase, or ADA), an autologous ex vivo gammaretroviral gene therapy approved in Europe following its development by GlaxoSmithKline (GSK). Strimvelis received European Commission approval in 2016 as the first autologous ex vivo gene therapy for children with ADA-SCID. Last year, GSK handed off Strimvelis and the rest of its rare disease gene therapy portfolio—including OTL-200 and OTL-103—to Orchard. In return, GSK took a 19.9% stake in Orchard, as well as undisclosed milestone payments and royalties, and a seat on Orchard’s board. Since then, Rothera said, Orchard completed pre-BLA and Chemistry, Manufacturing, and Controls (CMC) meetings with the FDA for OTL-101. This year in advance of the BLA, Orchard plans to release two-year follow-up data in 20 patients from the fresh formulation registrational trial of OTL-101—followed by the release of engraftment data in 10 patients from a cryopreserved or “cryo” formulation clinical trial of OTL-101. Patients will have their stem cells harvested for shipment to a manufacturing site, where the cells will be purified and transduced with a lentiviral vector. Those gene-modified stem cells will be frozen. “When you freeze those, you have time then to quality control: Do they have the right number of cells? Do they have the right vector copy number? Because before you put them back in the patient, you want to make sure they’re as good as they can be,” Rothera said. “The issue we have with the fresh cell formulation is that window is time is really tight. It could be six hours from transduction process to putting it into the patient. Whereas now we can really quality control over potentially weeks, to make sure that everything is great, and then we can ship them back to the patient, wherever they’re being treated. They can be conditioned, and then those cells are thawed, and they’re infused into the patient. The cryo formulation of the gene therapies, Rothera added, represent a win for patients, Orchard, and payers. Strimvelis, OTL-200, and OTL-103 originated from GSK’s collaboration with the Hospital San Raffaele and the Telethon Foundation, acting through their joint Telethon Institute for Gene Therapy, in Milan, launched in 2010. Orchard’s other planned BLA for 2020, OTL-200 for MLD, will see the release in 2019 of two and three-year follow-up data in 20 patients from the fresh formulation registrational trial, as well as the release of engraftment data in the first three patients from the cryo clinical trial. OTL-200, as with OTL-101 and -103, have been granted the FDA’s Rare Pediatric Disease designation. The designation gives Orchard access to the FDA’s expedited review and approval process, and makes the gene therapies eligible for Rare Pediatric Disease Priority Review Vouchers upon approval by the FDA. 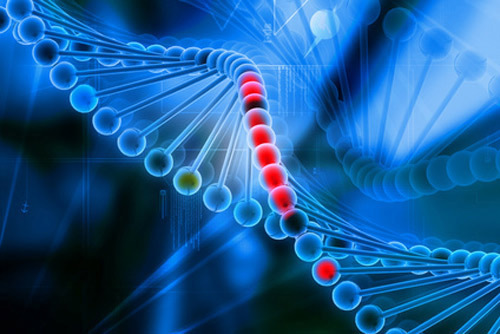 For OTL-103, Orchard plans to release three-year follow-up data in eight patients from the fresh formulation registrational trial of the gene therapy candidate, as well as launch a cryopreservation formulation clinical trial for OTL-103 in WAS. The three candidates will be produced by Orchard through contract manufacturing organizations. Longer-term, Rothera said, Orchard plans to combine contract manufacturing with in-house production at the Fremont, CA, manufacturing facility. The company says the Fremont site will enhance its ability to develop and deliver lentiviral vector and gene-corrected hematopoietic stem cells for a wide range of diseases by providing additional CGMP manufacturing capacity for both lentiviral vector and cryopreserved cell therapy products. “We have a very large pipeline, and this is an area of competitive interest, being able to find the capacity, so we want to take charge of our own destiny by building out a vector and cell product manufacturing facility,” Rothera said. Orchard expects to use between approximately $80–90 million of the $205.56 million in estimated net proceeds from its recent initial public offering to fund the design and construction of the facility. In the meantime, Rothera said, this year Orchard will advance its two other clinical-stage gene therapy candidates. The company plans to design and engage regulators on a registrational trial for OTL-102 for X-linked chronic granulomatous disease (X-CGD), after presenting clinical proof-of-concept data on December 4 during the Presidential Symposium at the 2018 American Society of Hematology (ASH) Annual Meeting & Exposition, held in San Diego. The data showed 12 months or more of restoration of immunity in X-CGD patients treated with the ex vivo autologous gene therapy, with sustained levels of functioning neutrophils at >10% in six of seven evaluated patients. Also planned for 2019 is reporting of results from a clinical proof of concept trial for OTL-300 for transfusion-dependent beta-thalassemia (TDBT). OTL-300 has received the European Medicines Agency (EMA)’s priority medicines (PRIME) designation, enabling additional and earlier feedback from the agency and faster review. Orchard also maintains a preclinical pipeline of 10 candidates, only some of which have been disclosed—such as programs in mucopolysaccharidosis type IIIA (MPS-IIIA) and type IIIB (MPS-IIIB). The company said it plans to submit a clinical trial application for OTL-201 for MPS-IIIA and support initiation of a clinical trial of the gene therapy candidate, which also has the FDA’s Rare Pediatric Disease designation. As part of the GSK deal, Rothera said, Orchard obtained options for a few other preclinical programs, one of them in MPS-I (also called Hurler syndrome), X-CGD, and globoid cell leukodystrophy (GLD).